The Khazanah-Cambridge Scholarship is a leadership development programme that is aimed at building Malaysia’s future leadership talent. Recipients of this scholarship are expected to not only demonstrate academic excellence, but also develop their leadership skills through training and participation in a number of activities. Possess strong leadership skills and active participation in extra-curricular, social or voluntary activities. Applicants must have a consistent and outstanding academic achievement record. Must have a First Class or a Second Class (Upper) honours degree, or where there is a point system, a minimum CGPA of 3.5, or its equivalent. For those applying for a doctoral degree with a research Masters degree, they must show an excellent report for their thesis. In the event that formal qualification has yet to be conferred, applicants must show evidence of excellent performance throughout their studies. Two-year MSc and M. Litt. Scholars of the programme will undergo an enriching personal journey, and will also be part of a cadre of future leaders that will be groomed to eventually lead Malaysia’s government-linked companies (GLCs). It is a career-long journey that offers Malaysia’s top talents an opportunity to realise their full potential in the transformation of Malaysia’s GLCs into globally competitive corporations. Only applicants who are short-listed will be notified. Applicant will receive 2 emails after you have created and submitted your online application; Email on the user id and password as well as email to notify the system has received your application. Only online submission of application forms will be entertained. If you have any difficulties submitting your application online, please call 03-2034 0169, 03-2034 0157 or 03-2034 4783. 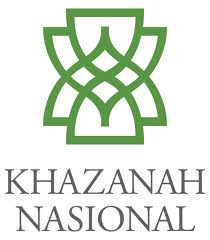 The closing date for Khazanah Cambridge Scholarship Programme application is 1 April 2012. If applicant did not receive any information by 11 April 2012, please consider your application is unsuccessful.